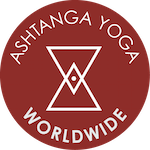 All levels are welcome and no experience is required to attend classes at Ashtanga Yoga Worldwide. When you walk into the class, introduce yourself to the teacher. The teacher will then work with you individually. We strongly encourage you to sign up for the one week unlimited new student special. The Mysore style method is best experienced and understood over time, so it is encouraged to attend classes at least three times per week so that you can begin to establish yourself in the practice of Ashtanga Yoga. Please take a moment to read our class descriptions and about us sections to learn about our community and teachers.